The new Zeus is the replacement for the The One Glove Pulse. Really nice glove with a hybrid of roll and negative cuts with an all weather 4mm German contact latex. 4mm German contact latex for the best grip in all weather conditions. Beautiful 3D embossing creates the most unique backhand to date while. 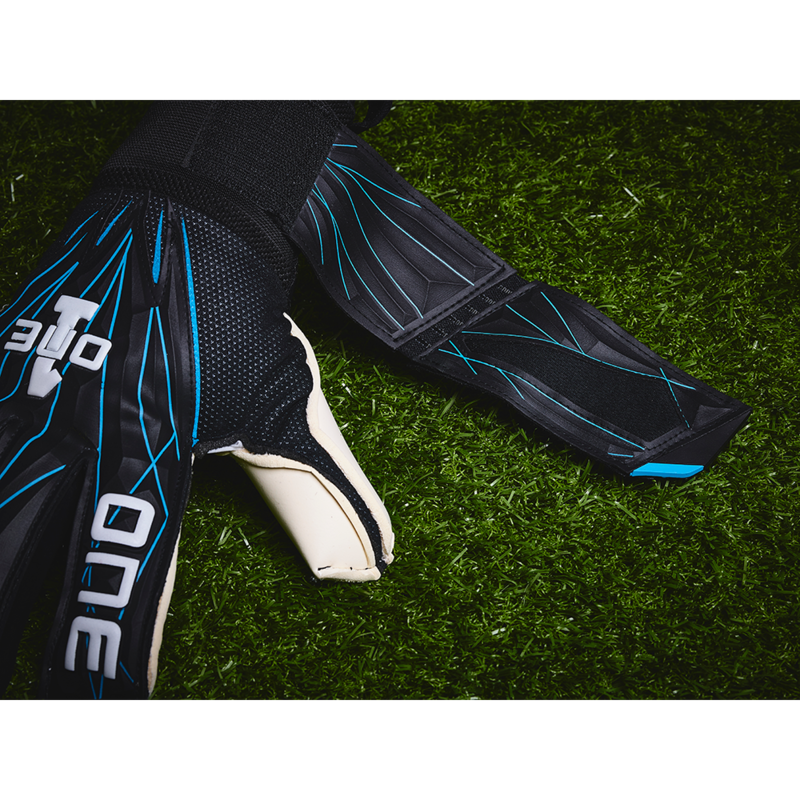 The mesh inserts allow for excellent breathability. 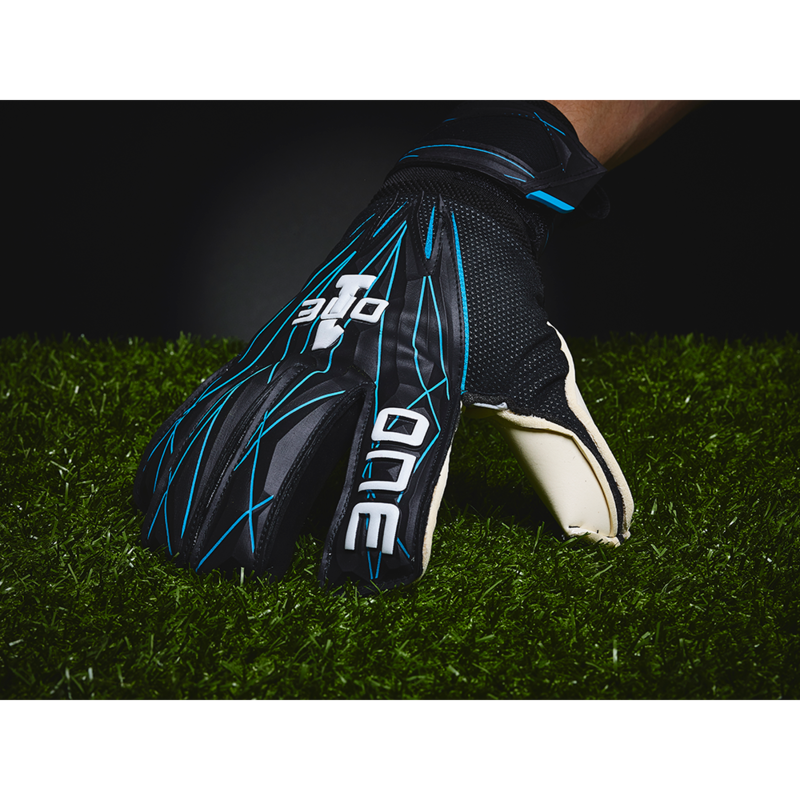 The iconic black and electric blue detailing combined with all new GEO features makes this a glove that ticks all the match day boxes. The "Medius" Cut. A hybrid of roll and negative cuts. The middle and ring fingers feature a negative cut, whilst the pinky, index and thumb all feature the popular roll finger cut. New "MidSplit" strap combines the comfort of latex straps, with additional adjustment for fans of elasticated stretch straps - the best of both worlds. Spiritual successor to the ever popular (and now discontinued) Pulse. Purchased these gloves just in time for a tournament for my 13 year-old goalkeeper. Literally NO wear in time. My son liked them as soon as he put them on. The only reason he gave a 4 instead of a 5 is that the wrist band is a little tight. 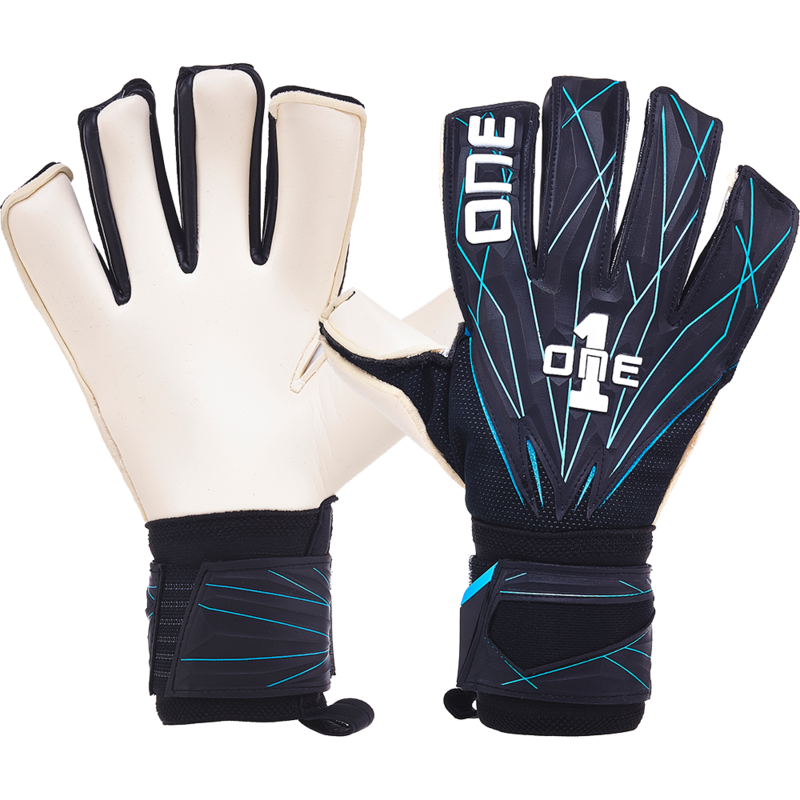 My son had selected a different pair on Keeperstop.com, but when I reached out to Christian at keeperstop, he let me know that the other gloves were being discontinued and suggested these. I am very grateful for his advice and taking the time to correspond with me about the goalkeeper gloves. We have found our new "go to place" for ordering goalie gear! Thanks!